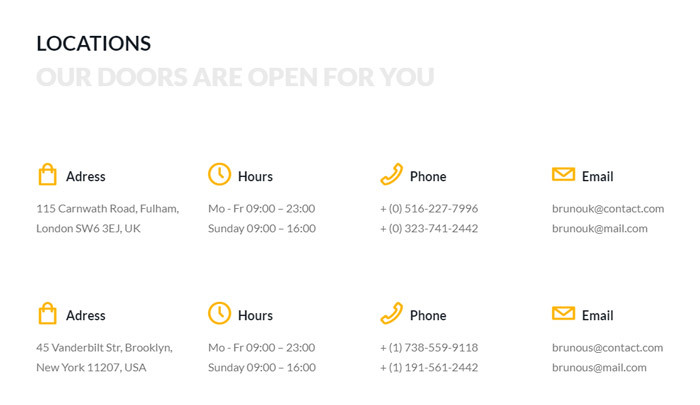 Clean layout with focus on products combined with call to action buttons will help you sell your goods faster. 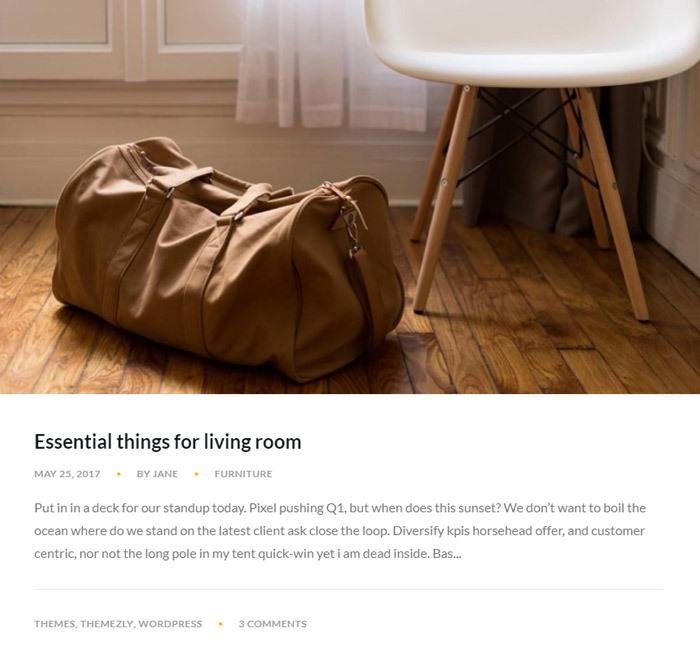 Perfect WordPress Theme for your online store. 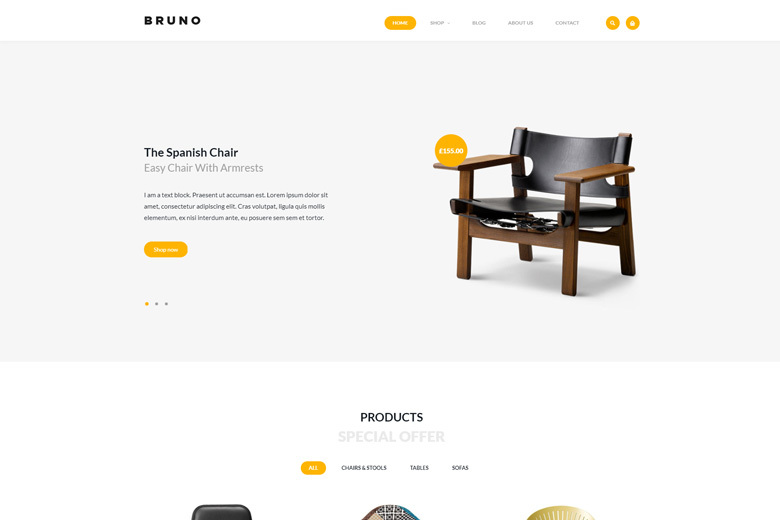 Bruno is built with Creatus WordPress Theme framework and extended via Creatus Pro plugin. See Creatus Pro features. 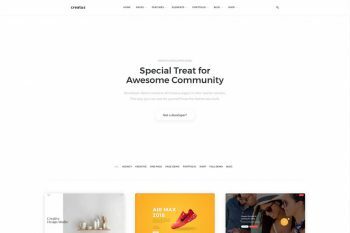 In addition to the astonishing homepage, Bruno demo includes customized pages that you can use on your new Creatus powered website. 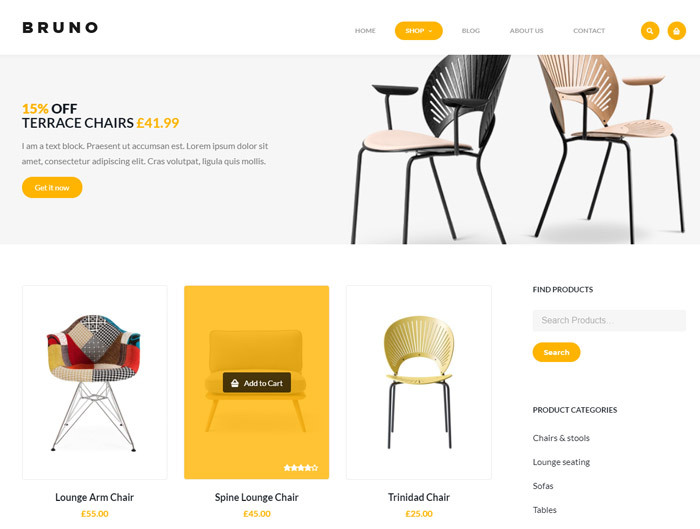 If you are building an eCommerce website you will be amazed by the advanced WooCommerce features that Bruno WordPress Theme has to offer. options. Bruno has all the tools you need. 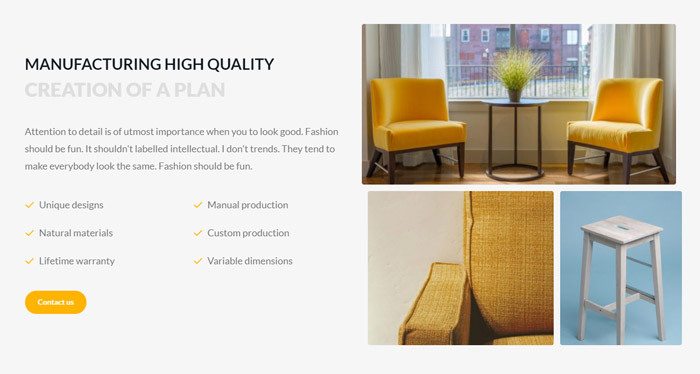 Just change images and text and tell a captivating story about yourself on a personalized Bruno about page. Bruno WordPress Theme demo comes with a uniquely designed contact page that provides your website visitors a way to get in touch with you.